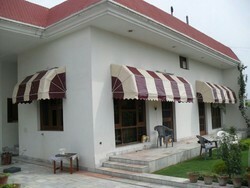 With the aid of our experienced team, we are devoted towards manufacturing an exquisite range of Designer Awning. Features: Pest Proof, Pest Control, Termite Proof, Washable, Zero Maintenance, Colorful, Cost effective. We are well specialized in the all types of Aluminium Glazing and Fabrication with Glass work. We fulfill our customers’ requirements Like Good designing, more attractive, flexibility, highly visible and Cost effective. 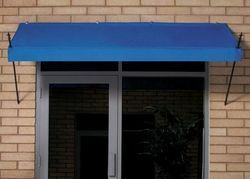 Awning is very popular for covering the window or door from sunlight and rain.